Will the Dodgers ace ever get his back problems under control? When healthy, Clayton Kershaw remains arguably the best pitcher on the planet. But increasingly, it has become an open question of how often Kershaw can be expected to be healthy. The Dodgers announced Friday that they had placed Kershaw on the disabled list with a lower back strain. The move came a day after the lefty was pulled after 62 pitches in his return from a biceps injury, which had previously sidelined him for four weeks. Today, the Dodgers placed Clayton Kershaw on the 10-day DL with a lower back strain and recalled Brock Stewart from Triple-A Oklahoma City. 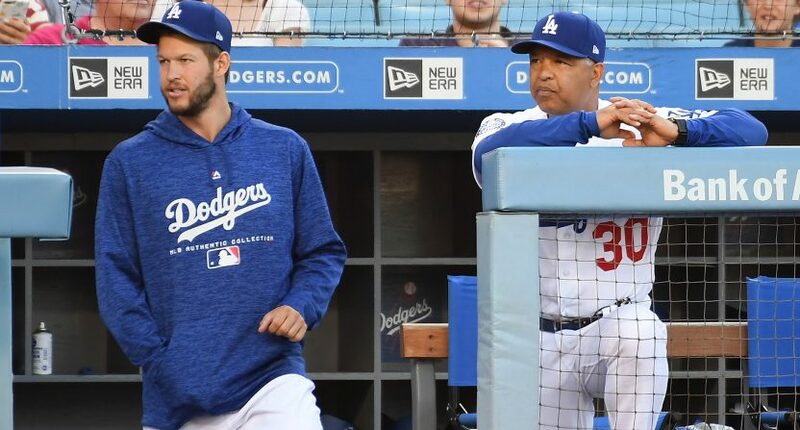 Dodgers manager Dave Roberts told reporters that Kershaw will miss “over a month” with the injury. In past years, Kershaw’s absence wouldn’t have ruined the powerhouse Dodgers. But with this year’s team struggling (26-30, tied for fourth in the NL West), losing an ace for at least a month constitutes a massive blow. To replace Kershaw, L.A. called up Brock Stewart, a 26-year-old with a 4.50 career ERA (4.71 this season) and will lean more heavily on rookie Walker Buehler, who has become the team’s ace almost by default. It’s certainly not ideal for a team that has already lost Corey Seager for the season and could generally use all the help it can get. And then there’s the question of Kershaw’s long-term health. In isolation, this back sprain wouldn’t seem like a big deal. A back strain isn’t the type of issue that wrecks a season or debilitates a pitcher (though it did seem to sap Kershaw of his velocity on Thursday). But in the context of Kershaw’s injury history, this ailment becomes pretty scary. That means Kershaw is now on his fourth back injury in five seasons. What was once a routine issue has become a persistent problem. If Kershaw retired today he’d be a Hall of Famer and an all-time great. But at age 30 and coming off a season when he finished second in Cy Young voting despite the missed time, the three-time Cy winner should have plenty more greatness in him. It would be deeply sad if his back keeps him from achieving it.